Jewell and Doug James issued a stern warning to a crowd of about 50 people in the parking lot of the Urban Indian Center of Salt Lake on Thursday night. 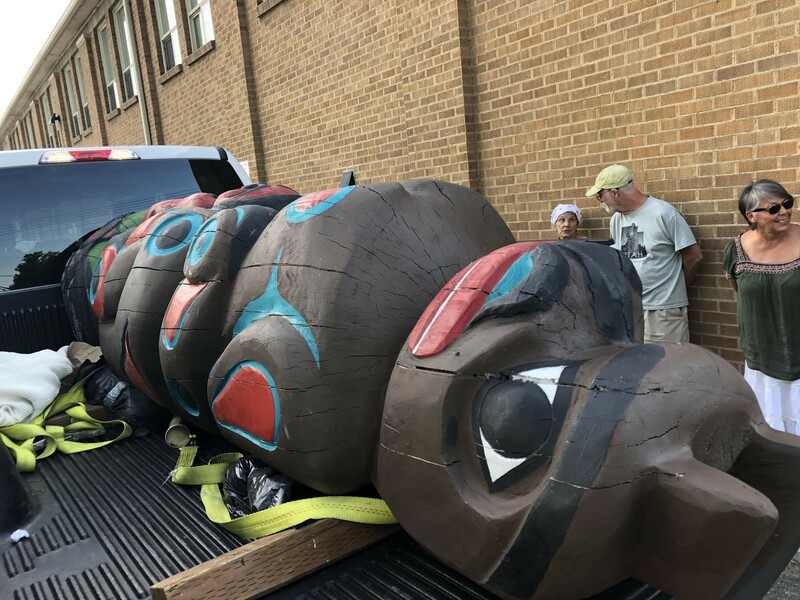 The brothers, representatives from the Lummi Nation, brought with them a large totem—9 feet tall by 3 feet wide and weighing more than a ton—as a gift to the Bears Ears Inter-Tribal Coalition. The Bear Totem, carved by the James siblings, left Bellingham, Wash., early Wednesday morning, arriving in Salt Lake 36 hours later. The totem symbolizes support for the restoration of Bears Ears National Monument—which President Donald Trump shrunk by 85 percent in December—and will be at the Bears Ears Meadow for an inter-tribal gathering on July 20-22, after which it will be on display at the Southern Ute Museum in Colorado. “We have to continue to fight because Mother Earth will always go on, with us or without us,” Jewell said of the battle to protect Bears Ears from industries that cause environmental devastation. Enjoying the last few hours of sunlight on the hot summer evening, a toddler ran around the blacktop, repeatedly stopping to touch the truck holding the totem as the tribal leaders addressed the crowd. Doug was the last to speak, repeating his gratitude for those gathered and reminding everyone of the stakes. “If we don’t take a stand, what’s going to be left for these little ones?” he asked.